Today’s posting is part of the collection of Matrix-related short films that comprise The Animatrix. 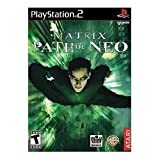 I’ll write more on The Animatrix later, and in particular how it featured in an attempt at transmedia story telling across film, DVD, computer games and other cultural texts. (1) the human species is very likely to go extinct before reaching a “posthuman” stage; (2) any posthuman civilisation is extremely unlikely to run a significant number of simulations of their evolutionary history (or variations thereof); (3) we are almost certainly living in a computer simulation. The film itself is fairly short, consisting mostly of a chase scene where ‘the kid’ is pursued by Matrix agencies, but it ends with scenes where ‘the kid’ is able to actualise his own salvation through believing in Neo, sacrificing his life in the Matrix, and then being ‘resurrected’ in the physical world. In fact, it’s kind of a reverse form of Gnosticism, standing against the common gnostic themes pointed out in The Matrix. Sure, there’s still the idea that special knowledge can free you, but here it is not so much knowledge that saves, but faith in the external person (Neo) or reality, and that then allows the fleeting of the spiritual/virtual existence into the plane of matter – which is not necessarily the paradise sought but one with potentially more human freedom. This short film, along with the ‘Final Flight of the Osiris’ and ‘Detective Story’, is my favourite on the DVD (though ‘World Record’ is worthwhile a look too). 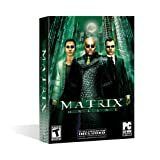 The collection also joins some of the dots between the Matrix films and games.